Our new product is just on the horizon. The LED At A Glance. 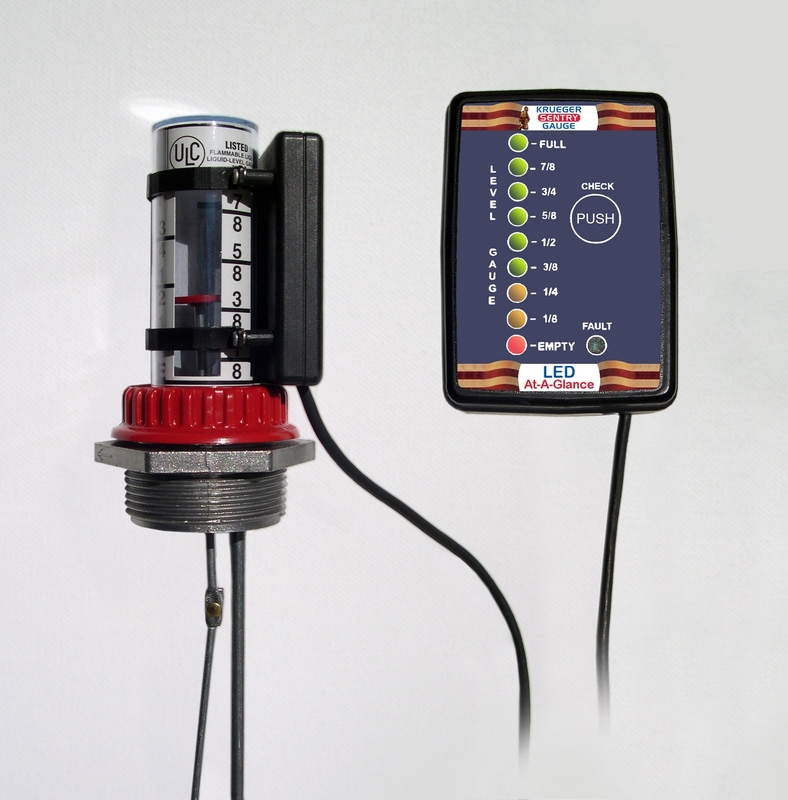 It is a remote display accessory that fits right on our current line of liquid level gauges. Now you can turn any Krueger tank level gauge into a remote reading gauge. This was originally designed with the home heating oil market in mind. Home owners can mount this to their gauge in the basement, and put the remote display in a more convenient location. The parallel applications for the product seem endless, however. If you have a tank that is 10 feet in the air and you want to be able to read the gauge at ground level. This is perfect. Check out the picture, and if you have any questions just visit our website and get in contact with us.